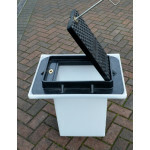 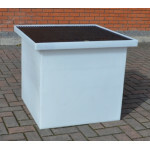 350 x 260 x 530 Drawpit Chamber c/w composite Cover & Frame C250 with Lock. 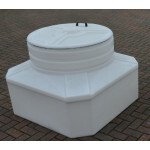 Rotationally moul..
Drawpit Chamber 450 x 450mm consisting of watertight chamber 500mm deep and bonded composite manh..
Drawpit Chamber 450 x 450mm consisting of watertight chamber 500mm deep and bonded composite..
650 x 650 x 506mm Drawpit Chamber complete with integral composite cover B125. 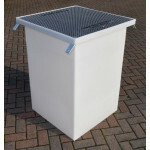 Clear opening dime..
650 x 650 x 506mm Drawpit Chamber complete with integral composite cover D400. 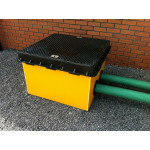 Clear opening dime..
Drawpit Chamber 600 x 600mm consisting of watertight chamber 500mm deep and bonded composite..
650 x 650 x 656mm Drawpit Chamber complete with Composite Cover B125 ..
650 x 650 x 656mm Drawpit Chamber complete with integral Composite Cover load rated to D400. 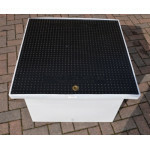 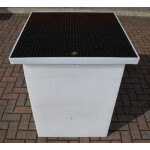 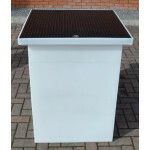 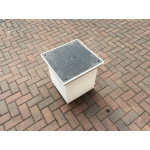 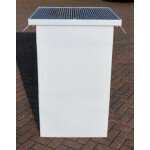 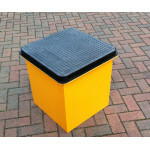 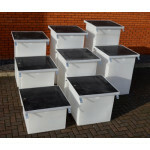 ..
650 x 650 x 806mm Drawpit Chamber complete with Composite Cover B125 ..
650 x 650 x 806mm Drawpit Chamber complete with Composite Cover D400 ..
650 x 650 x 956mm Drawpit Chamber complete with Composite Cover B125 ..
650 x 650 x 956mm Drawpit Chamber complete with Composite Cover D400 ..
650 x 650 x 1006mm Drawpit Chamber complete with integral composite cover B125. 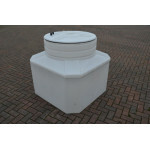 Clear opening dim..
650 x 650 x 1006mm Drawpit Chamber complete with integral composite cover D400. 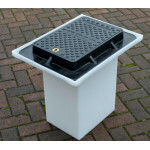 Clear opening dim..
Watertight Drawpit Chamber complete with integral manhole cover. 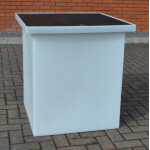 Chamber consist of a single piec..
1150 x 1150 x 1000 mm Drawpit Chamber with Lid adjustable height between 800 and..
1150 x 1150 x 1250 mm Drawpit Chamber with Lid adjustable height between 1050 and 1250mm by ..
DPC650-650-1156B125 650 x 650 x 1156mm Drawpit Chamber complete with a B125 Load Rated lightweigh..